The jacket is definitely much bigger than similar products. An extra large is big on me when other jackets barely fit me. I am most impressed with its light weight. It doesn't seem like the material isn't very durable, but I still haven't had any problems with it. It is the same as the other jackets that they sell. Overall good jacket, might want to go a size small if you're not sure though. Patagonia's only expedition worthy Down Parka and also their least environmentally friendly product will appeal to many urban shoppers for its warmth-to-weight ratio. 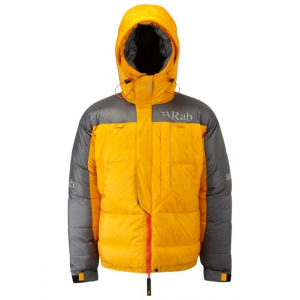 There are other makers of similar jackets like Outdoor Research's Megaplume ($299), The North Face's Baltoro ($499) and Himalyan ($599) models and Marmot's Parbat ($325), etc that basically sell the same thing for cheaper or sell you a more durable down parka with better protection for the same price and up. 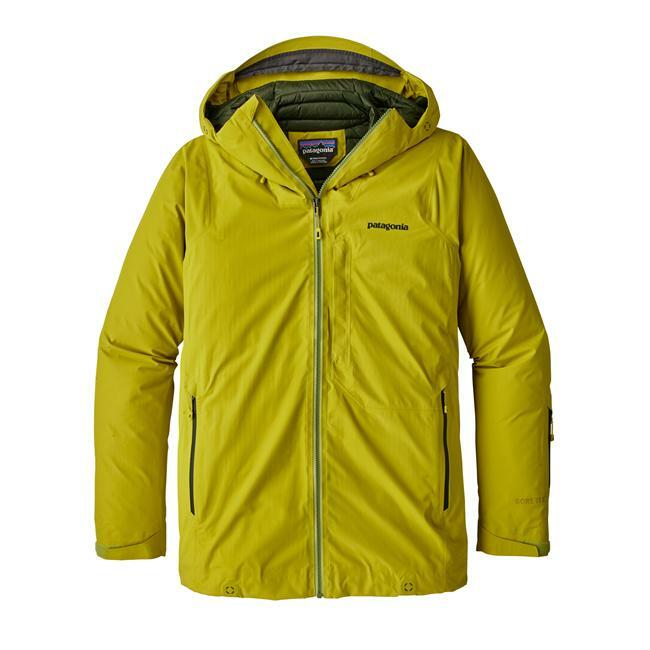 At 25 ounces this jacket is almost 10 ounces lighter than the next lightest jacket the 650 fill Outdoor Research's Megaplume Down Parka and a whopping 20 ounces lighter than the more popular and most protective of the bunch The North Face Baltoro/Himalyan models. 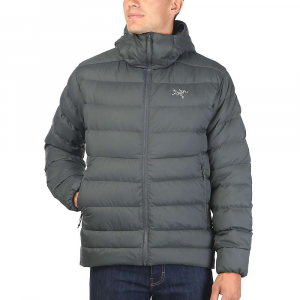 It is also a warm jacket but I doubt if anyone could honestly say it is warmer than other similar downs (I owned both earlier models of The North Face Baltoro and Himalayan down parkas and those were much warmer (down to -40F and beyond) than anything I've ever worn. I've had the Patagonia Down with many layers under it on when temps were between 12 and 16 degrees with 0 windchill and was comfortable at the same rate my old TNF Baltoro(800 fill, reflective radiant lining and GoreDryLoft Shell) had me burning up and zipping open with similar layers underneath in 0 degree weather. But then again my old school TNF Baltoro was a pound and a half heavier than the Patagonia Down. The reason I gave this 3 instead of 5 stars is the lack of a fully waterproof shell. The silky thin ripstop nylon that protects the down fill from wet snow and rain is DWR treated which last only so long before water and moisture make your 800 white fill down parka as useful as a bikini on Cerro Torre. Also the ripstop nylon picks up dirt and snags (zippers and otherwise) easier than I'd like. 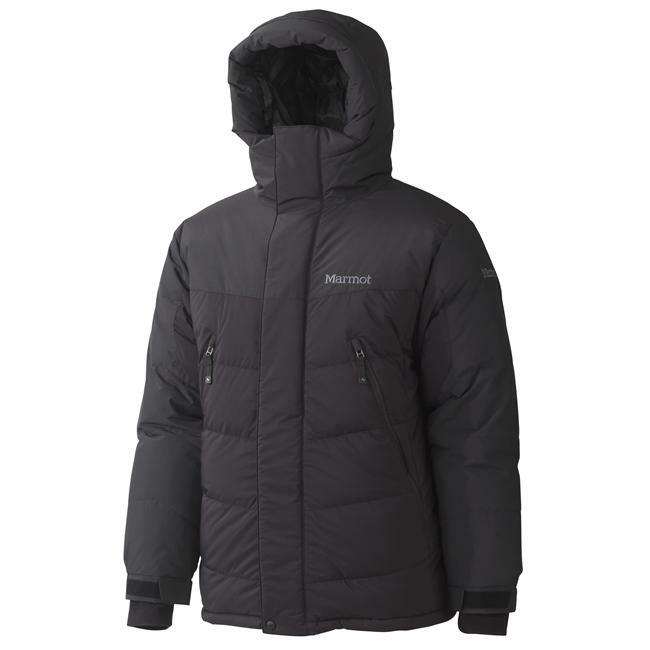 All the other top brand's down jackets sport waterproof shells from Marmot's Membrain to OR Pertex and TNF Gore DryLoft/HyVent. These shells are way more durable and expedition friendly than Patagonia's silky soft one. Another gripe I had with this jacket is the fit. I'm not sure when Patagonia started making "Relaxed Fit" (oversized and baggy on purpose to fit over many layers) expedition garments, but it now makes ordering online a nightmare. Let's just say I usually wear a Medium to Large in all things Patagonia and otherwise and after questionable advice from the sales rep, 3 returns/exchanges later, and a lengthy in store visit, I finally understood my size to be EXTRA SMALL for this Down Parka. But it didn't end there. After wearing it outside I found the armpits (arm movements) to be tighter with a sweater underneath. So I returned/exchanged once again for a SMALL size which now fits really big on me especially the sleeves being way too long and chest/torso area being wider and much too baggy for my 39-40 inch chest. But alas my armpits now breath easier and I can move my arms better. I'm not sure who stitches the size tags on these Patagonia parkas, but someone in that department needs to review the process. Just received it and I'm a bit surprised how large is large. I'm 6 feet with long arms so it is okay but if there wouldn't be adjustment on it I would look like the Hip Hop Yo man. Very nice parka. Can't wait to test it at -40C. This jacket is deceptively warm for its weight. I've had it for a week now, and used it for two separate trips. During both trips, it has proven to be ideal for making what would normally be uncomfortable belaying, camping, and sleeping conditions, easily tolerable. Nevertheless, I'm readily able to admit that many of these accolades could stem from the sheer newness of this piece. But, seriously: this is Patagonia. That should satisfy any skeptic. One point that I haven't tested though, is the durability and water resistance of the shell. It's crazy how thin this stuff is. You feel like it's going to rip with every snag. But, surprisingly it's still intact. We'll have to see though. 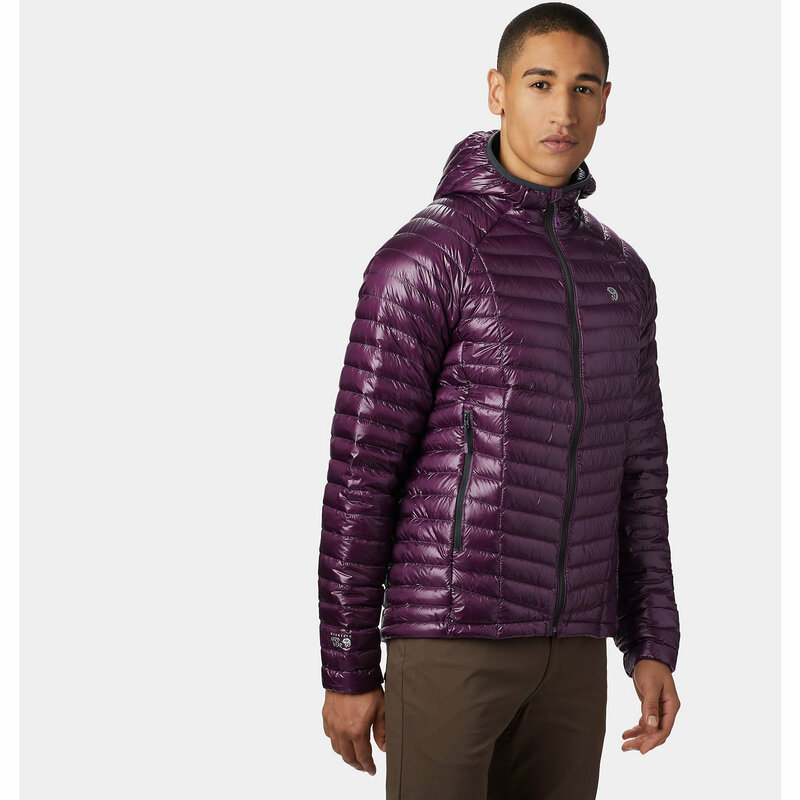 Another point: this is a coat for people who are going to use it for what it is intended for: horribly cold conditions one might face, either alpine, ice, and/or rock climbing. Style seekers beware: it's much too puffy to be a social/street piece, despite what Outside Mag. might say. Look to Mountain Hardwear for those goods. 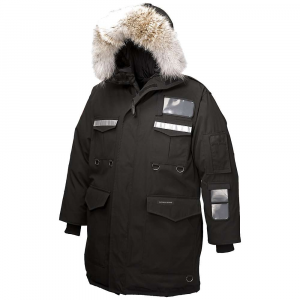 The Patagonia Down Parka is not available from the stores we monitor. It was last seen April 10, 2019	at Backcountry.com.